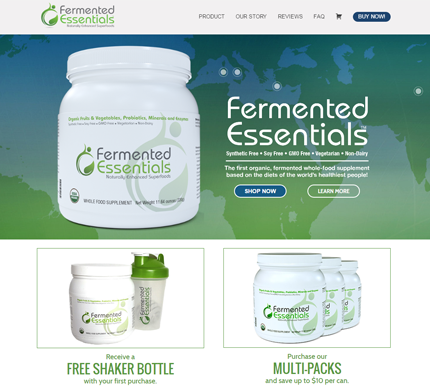 Fermented Essentials wanted a site for their health supplement business. They wanted a very customized eCommerce system, so we choose WordPress and WooCommerce with the Divi theme. I offer my HIGHEST gratitude to Jim. His attention to detail and great suggestions enabled the project to exceed expectations on ALL levels. Jim has been totally in sync with our needs. He is the first and only person we contact. We would not hesitate to recommend Jim. Jim goes far beyond anyone else. He approaches each project with enthusiasm, energy and a desire to develop the best product possible.